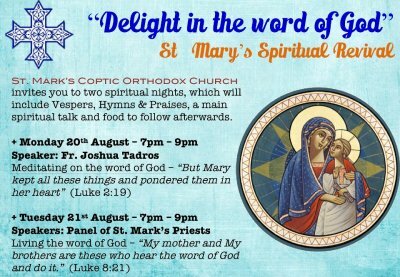 St. Mark’s Coptic Orthodox Church invites you to two spiritual nights, which will include Vespers, Hymns & Praises, a main spiritual talk and food to follow afterwards. 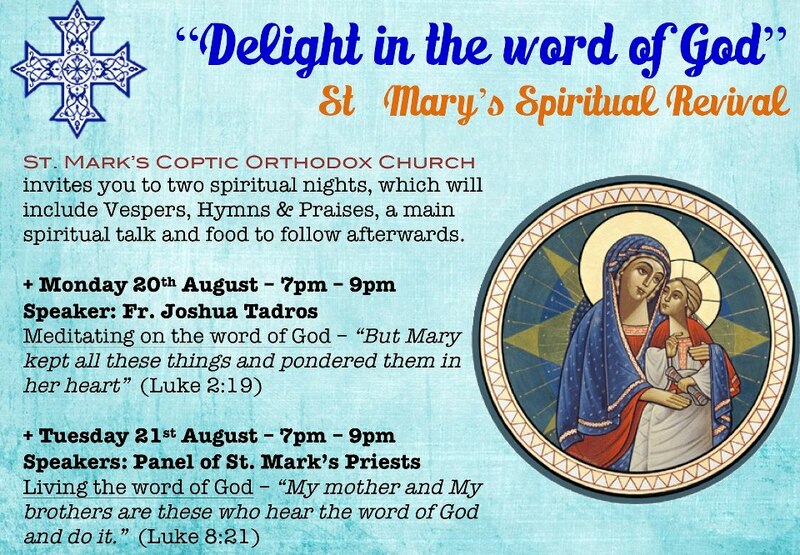 Please come and enjoy the blessings of our mother the blessed, ever-virgin St. Mary. THEME: "Delight in the Word of God"